Hopefully, you’re not like me, and you’ve got your Christmas gifting sorted by now. But if not, perhaps I could help you out with John Greed Jewellery. 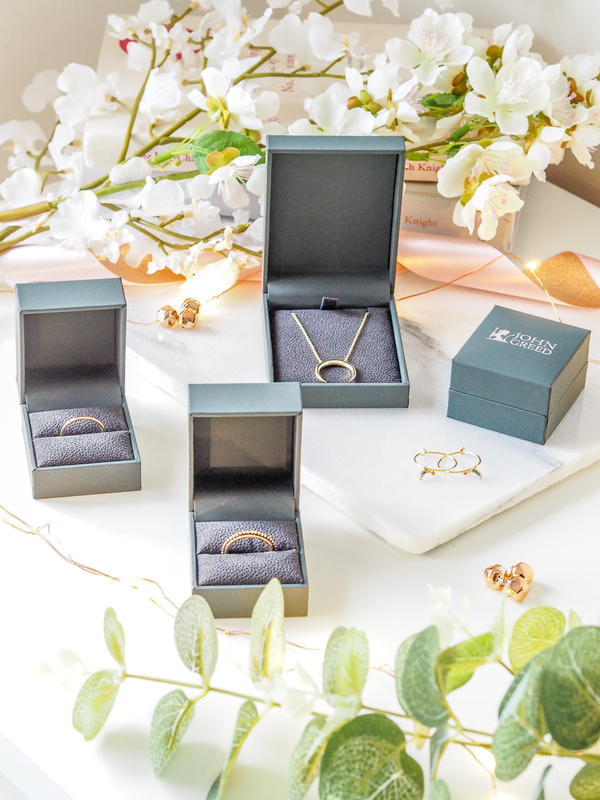 John Greed Jewellery recently got in touch to tell me about themselves – not only do they stock the well-known high-end jewellery brands like Thomas Sabo and Swarvoski, they stock their own, slightly more purse-friendly jewellery too. 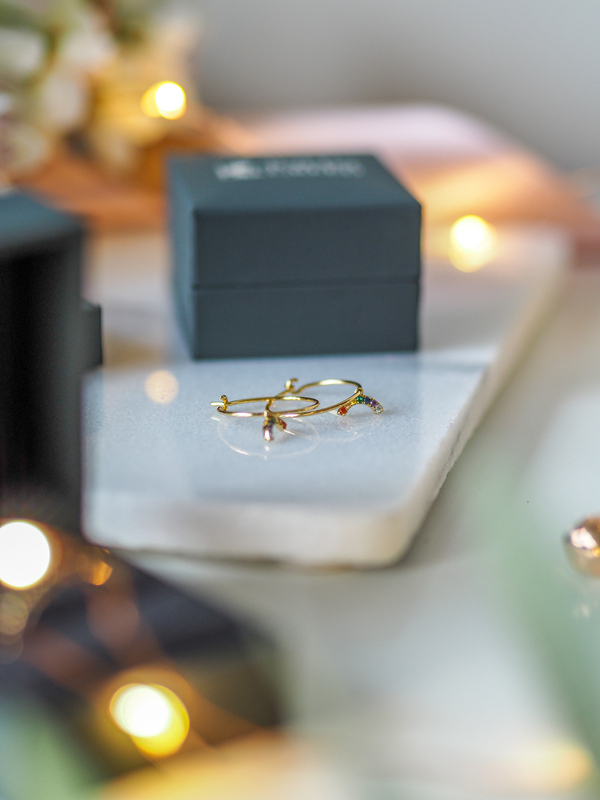 The kind of jewellery which would make the perfect gift for Christmas.. whether that be for yourself or someone else. 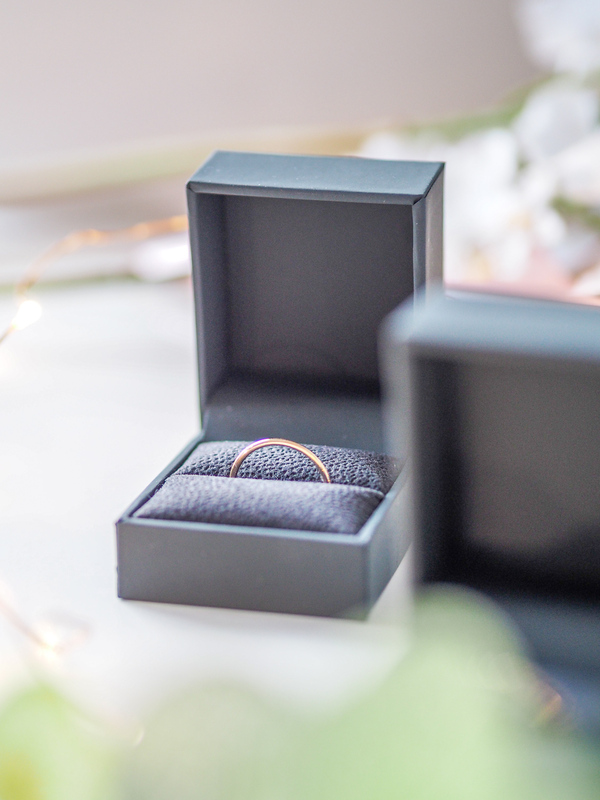 Rings are a jewellery piece that I have very few in my collection, and it’s something I’m definitely looking to build in 2019. Currently, I only own a silver Pandora piece, so I was keen to start a gold ring collection. To do that, I picked two basic rings from John Greed’s collection. First, from the Candy by John Greed collection I got the Bar Gold Plated Silver Skinny Ring for £16. 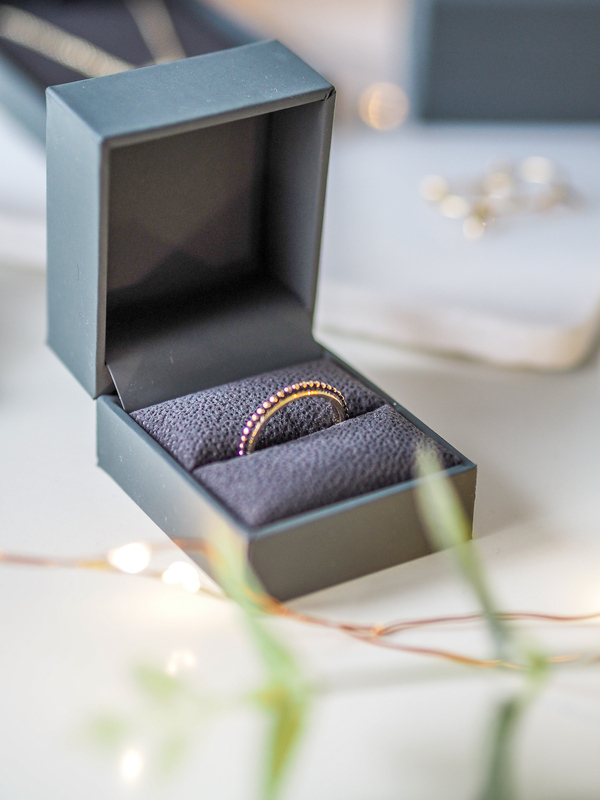 A really simple ring, I thought this would be the perfect starter for my gold collection and would look elegant on it’s own, or equally beautiful stacked up with other rings. The next ring I chose was the Desert Gold Plated Silver Ring, again from the Candy by John Greed Collection. Another basic or staple for a ring collection, this is a basic ball design which I thought would be brilliant as a stacker ring, especially with my skinny ring. This cost just £22. For earrings, I couldn’t resist a little bit of rainbow. I went for the Space Gold Plated Silver Rainbow CZ Hoop Earrings. 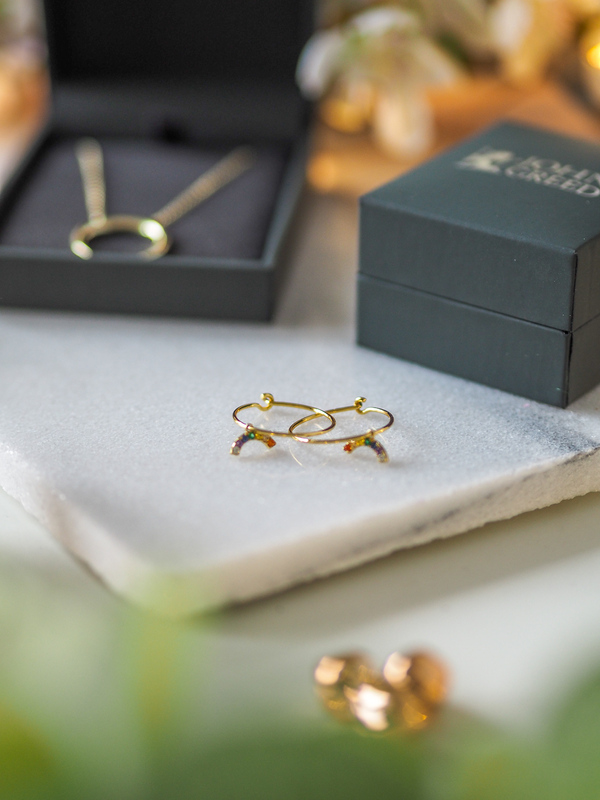 These are the most adorable dainty hooped earrings, each with a little rainbow made out of gems hanging from them.We all know how much I love my rainbow accessories, but I love how delicate these are – like you might not notice them at first. They’re super sweet and I’ve already had so many compliments on them! 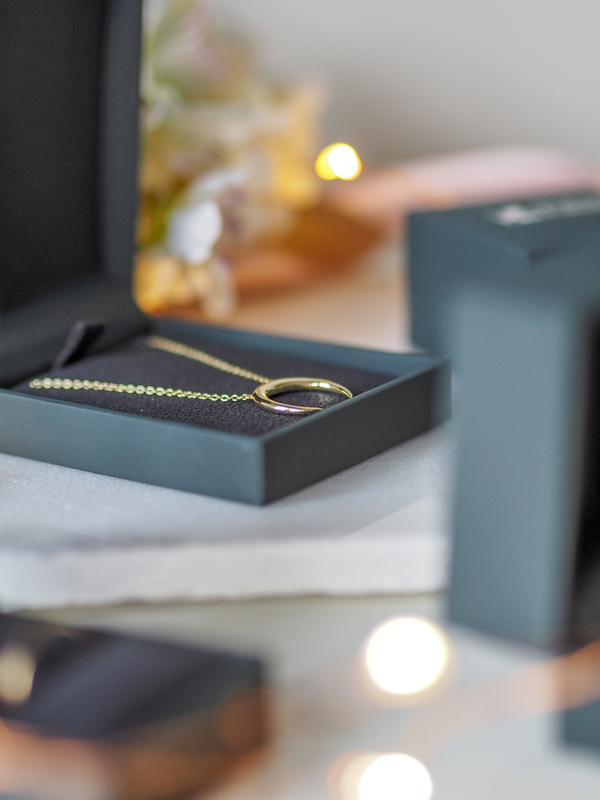 With Christmas on everyone’s mind, why not consider jewellery from John Greed as a Christmas Gift this year? John Greed stock the familiar brands such as Pandora and Thomas Sabo, but I was impressed to see that actually their own branded jewellery stood up to the mark. When I compare my Pandora pieces to those I’ve got from John Greed, you can’t notice a difference. Considering none of the pieces I’ve featured cost any more than £26, John Greed would be the ideal place to head to for those final picks or stocking fillers. I mean, what girl doesn’t love a bit of jewellery? "5 habits for a less stressful week"
"How I’m getting myself into the Christmas spirit"